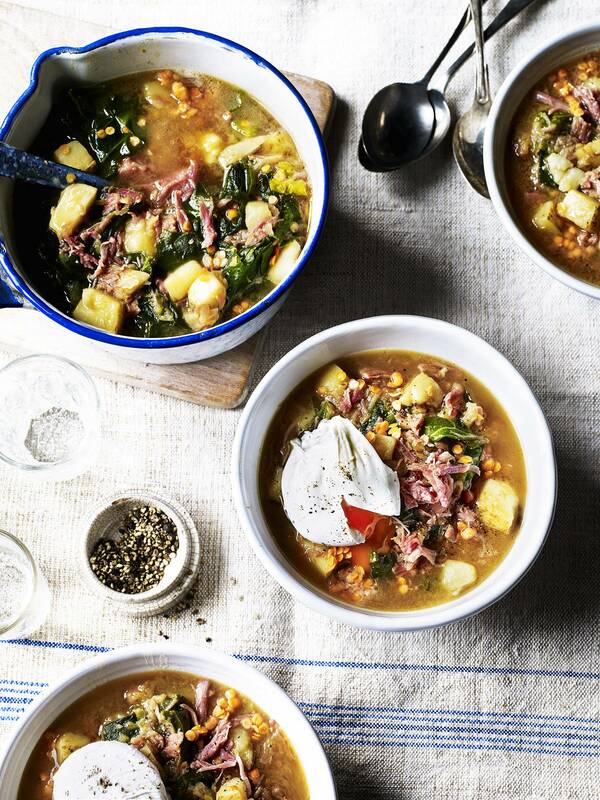 A warming potato soup recipe, ideal for those chilly days! The Rooster potato blends in deliciously with onion, ham hock and red lentils. The addition of poached egg on top adds a whole other taste to the recipe. Gently cook the onion in the butter and season a little. Add the stock and cubed potatoes and lentils and bring to the boil. Simmer for fifteen minutes, check and adjust the seasoning. Add more water if necessary. Add the greens to the hot soup, return to the boil and stir well then remove from the heat. Stir in the ham (hock).